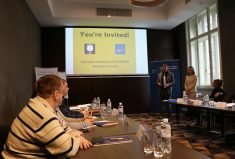 On 16 April 2018 in Lviv, the European Union Advisory Mission Ukraine (EUAM) launched a nationwide training programme focused on internal integrity mechanisms for the Security Service of Ukraine (SSU). 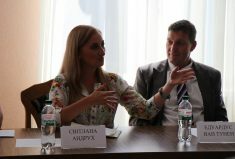 By March 2019, the Mission plans to train over 200 SSU staff members in seven regions of Ukraine: Lviv, Kharkiv, Odesa, Vinnitsa, Poltava, Uzhgorod and Kyiv. Representatives from civil society and trainers from the National Academy of the SSU will support the process throughout. The goal of the training is to implement the concept of integrity as a core value of the Security Service of Ukraine. A central component is looking at the mechanisms that EU security services have in place to prevent and fight corruption and other forms of unethical behaviour. The training looked at human resources management practices to aid this objective as well as budgeting and financing structures. External oversight of intelligence services in the EU was also covered in detail. 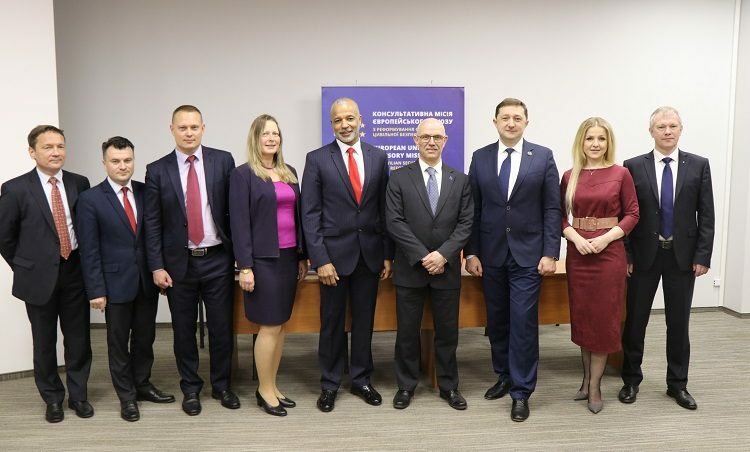 The EU Advisory Mission provides the SSU with strategic advice and expertise in order to support the SSU perform its core task of providing security for the people of Ukraine and achieve Ukraine’s stated objective of becoming a trusted intelligence sharing partner for EU and NATO countries. 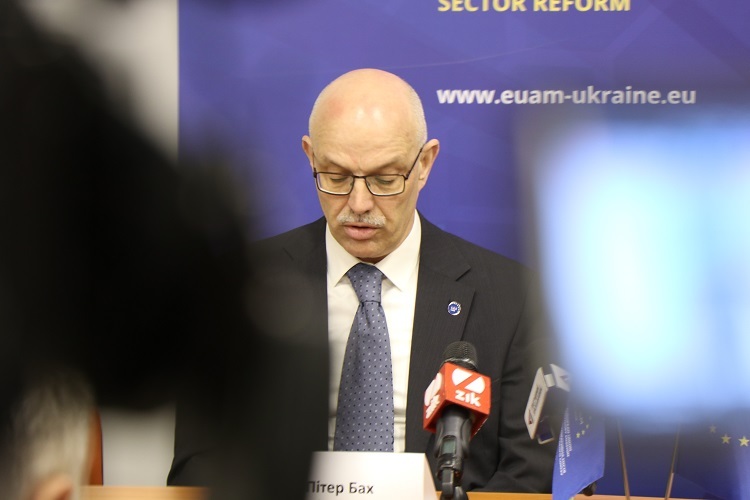 “The reform of a state’s security service is usually a good barometer of reform in general,” said EUAM Chief of Staff, Peter Bach. “Having internal mechanisms to ensure integrity and professionalism are important in creating effective and accountable institutions that enjoy public trust. 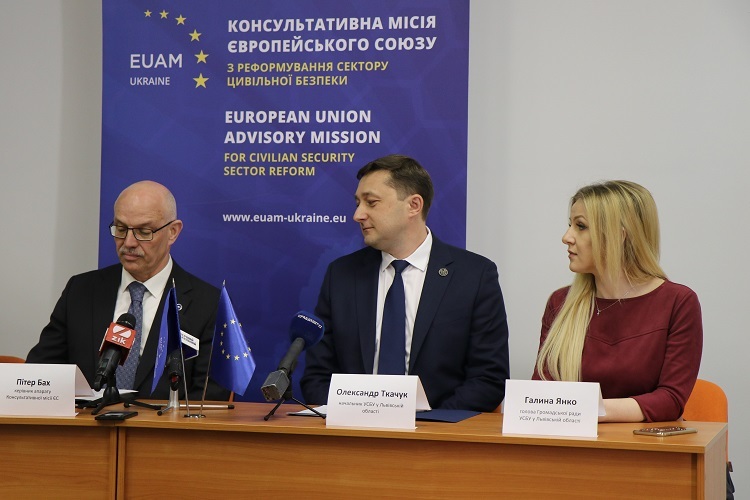 We in EUAM strongly believe that the road to the success of SSU lays though efforts to strengthen accountability mechanisms in addition to implementation of the SSU Reform Concept that we have recommended and developed with the NATO Liaison Office in Ukraine”. 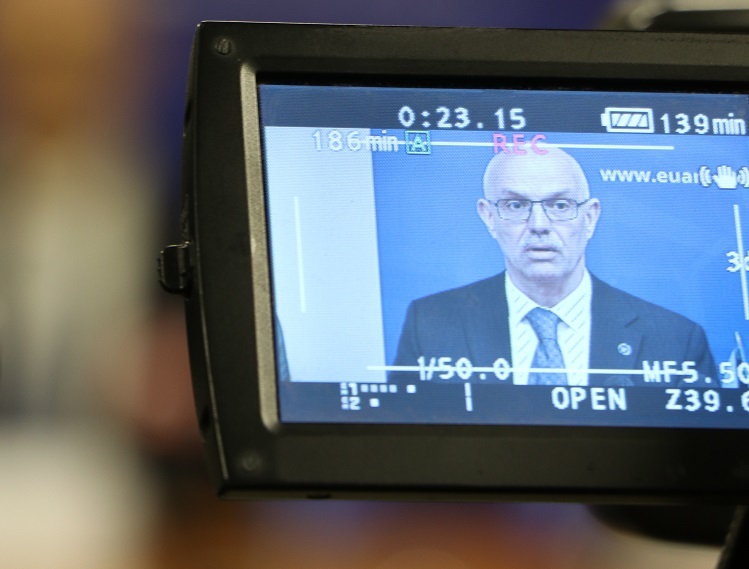 This integrity training is not the first training programme launched by EUAM for the SSU. In 2016, the Mission delivered a nationwide human rights training for SSU personnel. This training now forms part of the SSU Academy’s programme.